Smiles are powerful. In fact, studies show that they can make us appear more attractive, lift our moods, and even lengthen our lives. If you want to improve your smile, dental veneers might be your solution, offering a minimally intrusive approach to cosmetic dentistry. 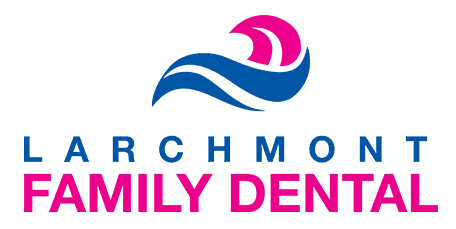 Dr. Avi Malkis at Larchmont Family Dental offers custom-made, natural-looking veneers for patients in the Westchester County of New York, including Larchmont, Mamaroneck, Harrison, and New Rochelle, New York. To learn more, call the office or schedule an appointment online. Veneers are ultra-thin shells of porcelain or porcelain-like material that cover the front surface of your teeth to improve their appearance. Dr. Malkis ensures the perfect look and fit for your custom-made veneers before bonding them to your tooth enamel. Besides enhancing your teeth cosmetically, veneers can also provide strength and resilience. In many situations, veneers are an excellent alternative to crowns and braces because the process is less intrusive. Veneers are not for everyone, and you should discuss all of the pros and cons with Dr. Malkis before deciding whether veneers are the best choice for you. With the natural wear and tear on our teeth from daily chewing and grinding, as well as from changes to your teeth due to age, it’s normal to have these cosmetic issues. When whitening does not work, veneers can help in changing the color of your teeth. Veneers offer a quick, minimally invasive solution that can last for many years. During your initial appointment, Dr. Malkis may take impressions of your teeth, send them to a dental laboratory, and have a computer image generated, showing you how your new veneers will appear. Then he prepares your teeth for the veneers by recontouring the tooth’s structure and removing the most minimal amount of tooth so as to provide enough room for the veneer material. Next, Dr. Malkis makes an impression of your teeth and sends the impression to the dental laboratory so that the veneers can be created. He may or may not place a temporary veneer for you to wear while you wait for your permanent ones. When it’s ready, Dr. Malkis fits the veneers to your teeth and then cements them in place. He also makes sure that your bite is perfect and makes any final adjustments needed. Yes. Dr. Malkis matches the color of your veneers to your natural teeth, so they don’t look fake. If you have a particular look or shade in mind, just ask Dr. Malkis, and he can go over your options. Unlike bonded restorations (bondings), the porcelain used with veneers can’t stain or discolor over time from such things as coffee, tea, red wine, or other pigmented beverages and foods. To learn more about dental veneers and whether they’re right for you, call Larchmont Family Dental or book a consultation online.